Kamalini Mukerjee is a Licensed Registered Dietitian with a Master’s in Human Nutrition applying functional medicine to address the underlying causes of illness. She is also a certified health coach with a certificate of training in Adult and Pediatric weight management. She has over 11 years of experience in nutrition. Kamalini is an “out of the box” kind of dietitian. She does not believe in conventional methods likes calorie counting. Rather than using a one-size fits all approach, Kamalini provides customized meal plans supported by up-to-date scientific research for a functional approach to healing the body and preventing disease. She tailors health and vitality solutions for individuals to fit their unique life situation. Kamalini uses a functional nutrition approach using food as medicine. She has a deep understanding of the dynamics involved in the process as both a trained professional and as a person who has gone through her own health transitions and brings an exceptional level of empathy to the table. Her passion and ability to motivate and facilitate dialogue between individuals and organizations has historically resulted in new innovative solutions, which eventually prompted her to create her company MyNutrition MyLife™, LLC. Her programs also have a strong emphasis on ongoing follow-up and support, tailored to the individual’s nutrition goals in order to provide the most effective and sustainable outcomes. She has found that eating good food and living a balanced lifestyle consistently results in good health and happiness. Eat Well, Move daily, Hydrate Often, Sleep well, Love your body, Repeat for life! Kamalini began her early career as a Clinical Dietitian and health educator in a hospital. She has over 11 years of professional experience working with patients with a variety of personal health issues. Her experiences includes but not limited to diabetes, heart health, weight loss and management, renal disease, celiac disease, gastrointestinal disorders, cancer prevention and treatment support. She has also designed, organized and implemented standardized health education programs and curriculum development for large corporations such as UnitedHealthCare and Savvy Sherpa. 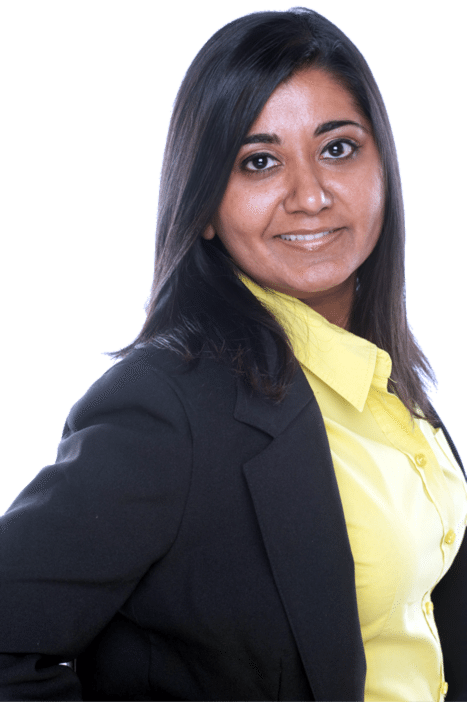 In 2010 Kamalini started her own company MyNutrition MyLife™ and continues to provide high quality services to her clients using evidence based research and practice standards. Registered Dietitian – Accredited by Academy of Nutrition and Dietetics. Click here more info about RDN training. Certification in Functional Medicine (in training) – Kamalini is in the process of acquiring a certification in Functional medicine. Certificate of Participation: Advanced FirstLine Therapy Training: Healthy Detoxification and Weight Loss. Mukerjee, K; Wolman, P; Silagyi-Rebovich, J; Goodner, C, H. Assessment of Folate Intake in Selected Indian Women of Child-Bearing Age using Researcher-Developed Food Frequency Questionnaire. Supplement to the Journal of the American Dietetic Association, v39, pg 39, 2005. Presented at the Poster session of FNCE (American Dietetic Association Food and Nutrition Conference and Expo) on October 24th, 2005. Patricia Giblin Wolman, Kamalini Mukerjee E. Jean Silagyi-Rebovich, Christine H. Goodner. Department of Human Nutrition, Winthrop University. Bulletin of the South Carolina Academy of Science, VLXVII, 114, 2005. Kamalini has a passion for travel and has traveled to many countries across the world. She loves learning about new cultures and food. She loves being with nature and frequently visits and hikes at national parks. Kamalini loves reading, cooking, dancing, listening to music and spending time with family and friends.